If you would like to review our sponsorship proposal, please click here. 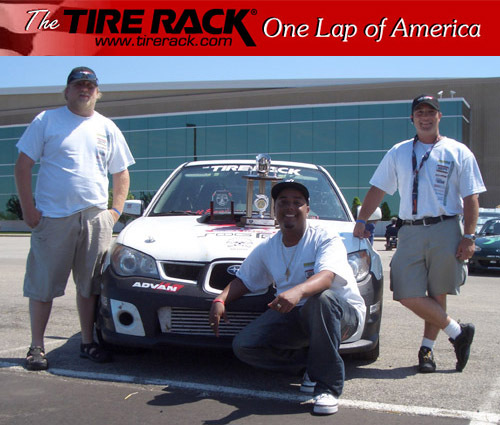 For those not familiar with the event, the “Tire Rack One Lap of America, Presented by Car and Driver Magazine” is a highly publicized event. In addition to multiple articles in Car and Driver magazine there is quite a bit of TV and web coverage. Known as a grueling event, the 2006 One Lap had 17 timed events at 10 different venues, which required driving through 18 different states, in 8 long days. For those who would like to join us at the track, you are more than welcome too, we will be doing a lot of testing over the next couple of months.